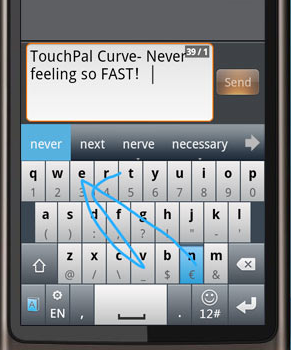 TouchPal Input Suite delivers an entirely new input experience to smartphones. You can simply blind type on your touchscreen, no longer worrying about mistyping or misspelling. As a result, you’ll find yourself typing 60% fewer keystrokes thanks to TouchPal’s next-generation prediction engine.